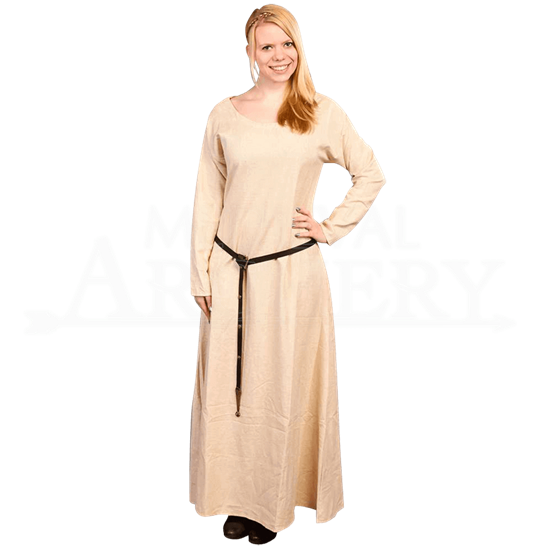 The Lenora Linen Tunic is the ideal undergarment for wearing beneath dresses and gambesons. Featuring a 50 percent cotton and 50 percent linen construction, this tunic is phenomenally comfortable, cool, sturdy, and stylish. The skirt of the dress falls in a slight A-line shape, while the round neckline lends it versatility. With long sleeves, this tunic can be worn underneath woolen garments in the winter for an extra layer of warmth and comfort. It also makes a great dress, featuring a style that is beautiful and elegant in its simplicity, and it can even be worn as a fun historic style nightgown. 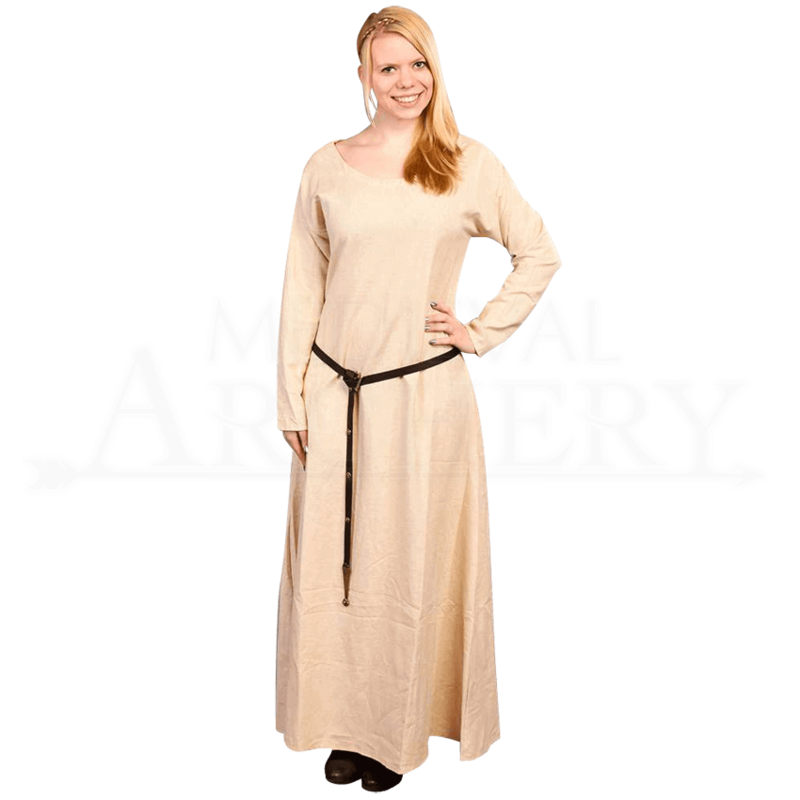 Add this high-quality staple to your medieval wardrobe today.